Singapore’s first eco-mall, City Square Mall, owned and managed by City Developments Limited (CDL) will once again partake in the annual celebration of Earth Day on 20 April 2013 and spread awareness about climate change to families and shoppers.To commemorate Earth Day, City Square Mall will be organising a slew of interesting and memorable activities suitable for the whole family. In conjunction with this year’s Earth Day theme – The Face of Climate Change, City Square Mall will be creating a video montage titled “Be the Face of City Square Mall” in an effort to rally public participation and showcase how they can play their part to protect the environment. On Earth Day itself, a videographer will be roving around the mall from 12pm to 3pm to approach shoppers and record in a video on what they will do in their fight against climate change. In the evening, the video montage will be played before the free outdoor movie screening of “Happy Feet” at B1 Fountain Square, from 7.30pm – 9pm (For full programme details, please refer to Annex A). 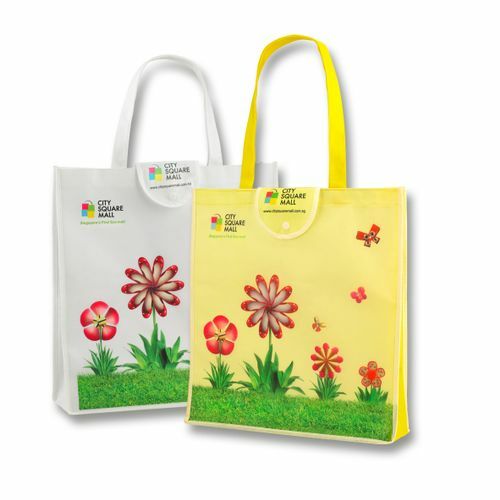 Eco-bags will also be given away before the movie screening, from 6.30 to 7.25pm, which are redeemable with a receipt of any amount spent at City Square Mall on 20 April 2013. The bags are limited to the first 500 redemptions and one eco-bag per person. Throughout the day, families can also visit an exhibition on recycling of cosmetic containers organised by the National Environment Agency (NEA) and Origins Singapore to educate the younger ones on the importance and benefits of recycling.